Beyond the material world, beyond the common rules, limitations, and assumptions we take upon ourselves, resides a greater spiritual reality operating under a set of higher principles that can help us transcend foolishness, strife, and drudgery. Knowledge limited to the physical world and bounded by the shortcomings of our five senses is not enough to attain freedom. 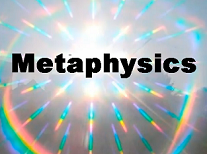 Metaphysics is the study of higher knowledge, the deeper truths of life. We only have to recognize these higher truths and live by them to rise beyond old behavioral patterns and access a new vista of inconceivably wonderful possibilities. * Everything is consciousness, and all consciousness shares a common source. It is the ultimate center, the initiator of all causes, the core perceiver, the chooser. * Consciousness is the dreamer (Creator), the dreamed (individualized consciousness), and the dreamscape (matter, space, energy, and time). There is no difference between reality and dreams except that reality involves mass consciousness holding the rules of reality rigid, whereas in dreams usually only the personal subconscious does so. Just as thought underlies objects in dreams, so does thought form the basis of matter in waking reality. * Creation is infinite, composed of a unified infinite being (the Creator) and its expression as an infinite variety of finite beings. Stated another way, the Creator is an infinite being exploring its infinite potential through an infinite number of finite avenues. While individual evolutionary paths begin and end – beginning as the first stirring of awareness among primal matter and ending in unified congruency with the Creator – the grand experiment itself is without beginning or end because there are an infinite number of these paths. * Because all life shares a common source, all life is interrelated and of equal worth. Only the expression of the underlying source differs from one lifeform to another. To differing degrees, each lifeform is endowed with freewill, the potential ability to choose independently of another being’s choice. Freewill adds a wildcard factor that makes the grand experiment interesting instead of boringly deterministic. * Existence is both holographic and fractal in nature. It is holographic in the sense that all possibilities exist simultaneously and timelessly, while our individual consciousness interfering with this static pattern is what generates the illusion of dynamic experience. In other words, it is we who move through the static pattern, the dreamscape projected by the Creator. Existence is fractal in the sense that freewill requires discontinuities and inconceivable complexities in this static web of possibilities. A fractal exists as a static pattern created from a deterministic equation, but due to the infinite complexity of a fractal, its exploration by a conscious perceiver becomes an nondeterministic affair. And thus the game of life can be characterized by freewill even though the gameboard itself is static and deterministic. * Progress arises when freewill moderates the interaction between two opposite forces. This forms a trinity generically composed of an active force, passive force, and neutralizing or balancing force. This trinity can be found everywhere that progress is to be found. For example, the tension of a string comprises the active force, inertia of the string creates the passive force, and the musician is the balancing force. From this is born music. Within individuals, the lower impulses form the passive force, higher spiritual callings of the heart form the active force, and you – the incarnated consciousness – form the balancing force by choosing between these two opposite polarities. From this is born the progress of your personal evolution. Even the fractal boundary of the Mandelbrot set acquires its infinite complexity by being the balancing point beyond two opposing mathematical values, the finite and the infinite – which ties back into reality being a fractal hologram. * Choice allows one to serve the Creator within oneself by exploiting others or by serving the Creator within others. The first path is identifed as evil/darkness/negativity while the second path one associates with good/light/positivity. This sets up two branches of evolution – one that works against the laws of Creation and one that works with and for it. Both ultimately serve the Creator’s exploration of self, but only the positive path does so in a balanced manner. The tension between these two evolutionary paths enriches the grand experiment and provides the impetus for evolution by both sides. * As Goethe wrote, the dark force “wills forever evil yet does forever good.” The self-serving path, despite giving the individual personal power, also puts him in unwitting subservience to higher powers. The highest power of all is the Creator, which those of the dark hierarchy unwittingly serve by providing the grand experiment with the passive force necessary for evolution. They provide the darkness against which the light stands out. Lucifer is referred to as the “lightbringer” because through self-serving actions, manipulation, and infliction of pain, self-serving individuals unwittingly give others the opportunity to see the light. * Whereas densities categorize different evolutionary levels of the dreamed, the terms “spacetime” and “timespace” classify different aspects of the dreamscape. Spacetime is the arena of causal interaction better known as physicality, where two or more beings interact while bound by a common set of physical laws. Spacetime is where experiences occur and lessons are learned – the ground, the battlefield, the classroom. By contrast, timespace is the sky, the command center, the teacher’s office. It is where individual beings have a bird’s eye view of what occurs in spacetime, providing a still point of contemplation, reflection, and planning of further spacetime experiences. This is the state one enters in between physical incarnations. The lower densities exist primarily in spacetime while the higher densities choose to exist almost exclusively in timespace. * Upon incarnating into a physical body, we experience an occultation of awareness and forget who we are. Then social conditioning and biological impulses graft a false identity upon us that is in total discord with our true spiritual nature. Most people wear this false identity for life and fail to recognize and fulfill their true reasons for incarnating. But for others, intuition and experiences help them realize that there is more to life than the material world (matrix) admits. Throughout life these individuals experience higher impulses guiding them toward becoming lucid in this dream, while simultaneously lower impulses beckon them toward sleep. For those who consistently listen to their higher impulses, inner and outer life transforms and begins to operate under divine instead of material laws, removing limitations of the latter and opening up new possibilities. 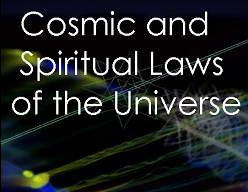 This is the process of transcending the matrix, using higher laws to override lower ones by developing and purifying one’s internal nature to resonate with higher realms of existence. This is a prerequisite for fulfilling one’s potential.